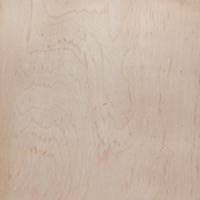 Tung Oil is a hard drying wood oil that provides a lustrous and beautiful finish. It resists marring, penetrates well, and is environmentally friendly. Our tung oil is the purest, highest quality you’ll find. It’s all-natural, food safe, and creates a flat finish. FDA approved for food contact. Not convinced? Read the reviews below. The Tung Oil offered by Real Milk Paint is a pure oil meaning it comes without any additives or distillates. Most other oils can be anything from a thinned down varnish to polymerized tung, and most have petroleum distillates added. Ours will not build a gloss finish or heavy finish but will penetrate deeply into the wood to enhance character and water resistance while creating a great wood finish. This makes our tung perfect for uses such as wood counter tops, bowls, butcher blocks, cutting boards, chopping blocks, outdoor furniture, decks, wood siding, wood flooring, concrete, brick and just about any porous surface that needs an environmentally friendly product. We guarantee our Tung Oil is ASTM Quality Tested to be light in color with the highest amount of reactive sites to ensure drying and a great wood finish. We use only the freshest, highest quality product. All of our oils are “fresh” pumped from a drum just before shipping. Keep in mind, it’s a natural “Honey” color. Cheaper grades are generally off-color or greenish. Other companies will not talk about the color because it’s their quality does not uphold. But color is important, you are using it to finish your wood so it makes sense that the way it looks plays a big part in the finish of your product. Freshness Guaranteed (fresh pumped daily)! Example: One Gallon would cover 400 sq. feet one time. This is coverage for the oil only and not diluted with any Citrus Solvent, Pine Oil, or any other thinner. Thinning the oil will increase its coverage as well as enhance is saturation abilities. I was nervous about how well tung oiled wood oak floors would stand up to everything my cats have to offer (spilled food, water, cat litter, the occasional pee, poop, and vomit, as well as their dead critters — frogs, lizards, mice and gophers — but I was committed to using your tung oil for its ease of use/repair and for its environmentally-friendly qualities. One year later I am thrilled to report that the seven applications of tung oil are performing beautifully. Not one stain. (I use water to wipe up, then follow with a swipe of Urinoff. )Even for messes I haven’t found right away (no more than a day or two? ), there has been no stain to the oak. Thank you for a terrific product! All natural finish that is water and alkali resistant and offers a protective barrier. Will not darken with age as other finishes will. It resists marring, penetrates well, elastic and unlikely to check. It builds quickly, consolidates the wood surface, and builds a transparent matte finish. It will not mildew or bleed like linseed oil when dry which makes it an excellent candidate for outdoor finishes. It should be kept in an airtight container with minimum airspace. It contains no thinners or driers and has a light nutty odor. 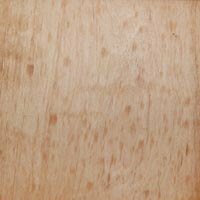 A Pure Tung Oil finish mixed with Citrus Solvent is an all-natural organic finish that is environmentally safe and food safe. For a less expensive alternative for thinning the Pure Tung Oil, try our Odorless Mineral Spirits. All of our Tung Oils are “fresh” pumped from a drum just before shipping. Each size is packaged in #2 HDPE recyclable bottles because being devoted to an environmentally friendly product isn’t just about the what’s in the bottle! 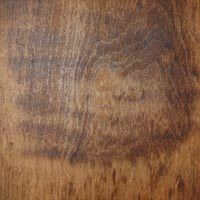 If you’re looking for a darker finish, be sure to also see our exclusive Dark Raw Tung Oil or see our pre-thinned tung oil product, Half & Half! 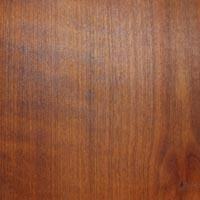 For new wood floors and refinishing wood floors, applications must be thinned for the best wood finish. “Floor Finishing and Pure Tung Oil“, “How to Stain Floors” and “How to Finish Decks and Porches“. For other applications, the following methods should work well, as always test your application method before full application to a large project. We strive to provide the best information and assistance possible. If you have any question or feedback, please call. Tung Oil comes from cold pressing of the seeds or nuts of the Tung tree, which mainly grow in the mountainous regions of China away from industrialization and pollution. Climate, soil and air quality are essential for high-quality oil. Ours is 100% Pure Chinese Tung, which is also known as China wood oil and is an all-natural finish manufactured by pressing the tung nut, no petroleum distillates or other additives – just pure oil. Some low priced marketers will package South American Tung Oil (dark, greenish in color) and sell it as the higher quality Chinese. 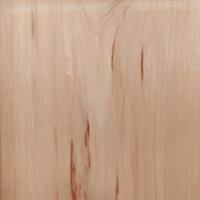 Chinese Tung is available in 3 grades, we only offer the best available, Grade 1 yellow. This high quality offers superior color, faster drying, and a long-term elastic finish. Elasticity is an important factor as it must continue to flex with the expansion and contraction of the substrate on which it is applied. It’s one of the first and remains to be one of the only truly “Green” or environmentally friendly finishes. It is all natural and contains zero VOC’s. 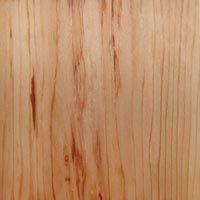 It’s an all-natural finishing product that provides a tough, flexible and highly water-resistant coating or wood finish. It is classed as a drying oil along with linseed, poppy seed, safflower seed, walnut, soybean, oiticica, and a few other oils. Although it is relatively new to the Western world, it has been known for centuries to the Chinese, and until this century, China was the main source. It comes from the seed of the tung trees, Aleurites fordii and Aleurites montana, deciduous trees that are very susceptible to frost damage. This vulnerability has restricted the cultivation of the trees to China and South America. It’s been used in the building trades as a treatment for both stone and wooden structures; in marine trades as a preservative and water repellant on wooden boats for centuries. It is said to have been introduced to the West by Marco Polo. From the 13th to the 19th century, tung oil had only limited use in the West. 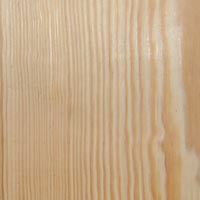 More recently, it’s gained favor over linseed oil for wood finishing because it is faster drying and does not darken as much with age. 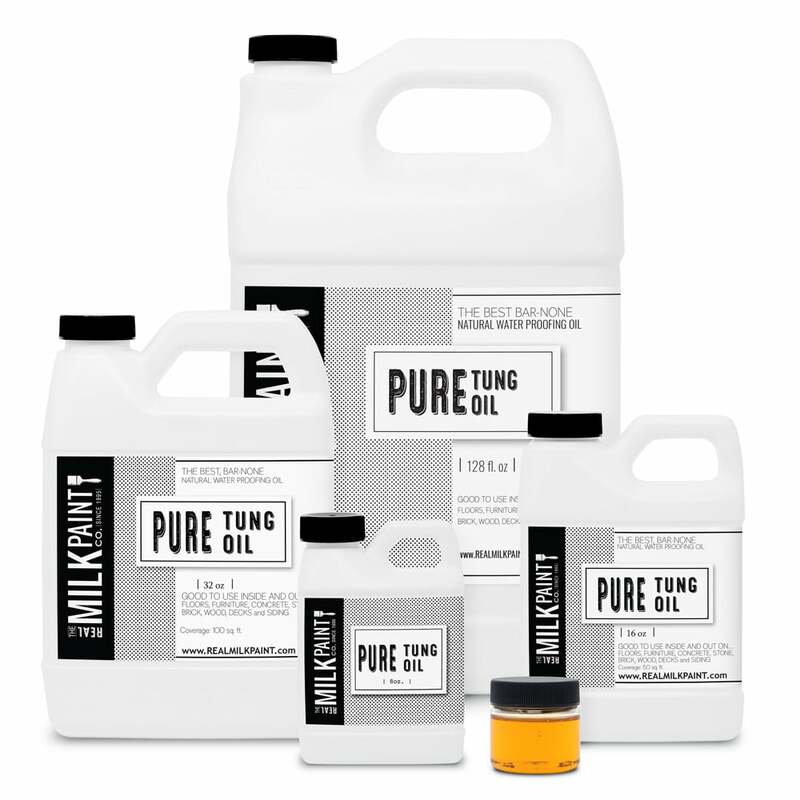 Pure Tung is recommended for finishing kitchen tables, chopping blocks, cutting boards, butcher block, wood and concrete countertops, wood floors, concrete floors, refinishing wood floors, outdoor decks, outdoor furniture, wood siding, log homes (both interior and exterior), and similar uses. Its non-toxic nature makes it particularly appropriate for children’s toys and furniture. It gives good protection to wood paneling and molding. The oil’s matte finish will do nicely on certain pieces of furniture, but if a glossy finish is preferred you will need to buff and wax the finish or use polymerized tung oil or a formulated tung oil based product over top. THINNING: Can be thinned with Citrus Solvent for an all-natural finish. Can also be thinned with Mineral Spirits, Odorless Mineral Spirits, Paint thinner, Odorless Paint thinner. Do not use the “Green” type paint thinner or “Green” odorless paint thinners. These “Green” thinners contain water. They will not mix with the oil. TEMPERATURE: Should remain above freezing during and after application for a period of 10 to 15 days. If freezing temperatures do occur it is possible for the fat in the oil to rise out of the oil and deposit on the surface. The warmer the temperature the faster the oil will cure. However direct sunlight baking a surface after a “fresh” application can quickly polymerize the oil and result in a dry rubbery frosted appearance or a distinctly more glossy finish than the surrounding area. STORING MATERIAL: Stored in moderate temperatures. Do not freeze and do not store in hot places like attics. It should also be stored out of direct sunlight like a mildly heated basement area. A mixture of Tung Oil and Citrus Solvent should be stored in the “White” Citrus Solvent container. These are treated to hold the Solvent for optimum storage. FDA: Tung Oil is approved for food contact by the FDA. View document. NOTE: Keep containers tightly closed away from extreme temperature changes and open flames. As with all oils, rags, steel wool or waste soaked with oil, may spontaneously catch fire if improperly discarded. Immediately after use, place the oil-soaked material in a sealed water-filled metal container or hang outside separately to dry. Remember that “Quality is long enjoyed while a cheap price is long endured”. My family and dedicated associates thank you for your support. Any wood filling (fillings with real wood dough accept tung oil) or wood staining (water or alcohol stains work best) must be done before the oil is applied. 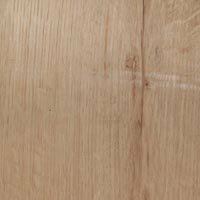 For the most thirsty surfaces like old weathered wood, 100 year old wood floors that were never finished, or un sealed concrete consider using Pure Tung Oil. 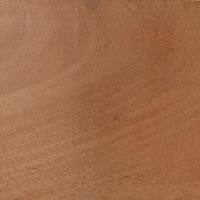 In most cases, Pure Tung Oil does need to be thinned in order to absorb into the surface. Consider thinning with our Citrus Solvent, Odorless Mineral Spirits, or use our pre-thinned option Half & Half. In colder weather, check the weather to ensure you have a 2 week period minimum after your application of the tung oil where the temperature will be above freezing. You do not want the tung oil to freeze during its application or curing period. The first coat of Pure Tung Oil should be a liberal one. Allow this coat to sit for a minimum of 40 minutes so the oil can soak in. When it soaks into the wood, apply another coat immediately. Continue to apply coats, one after another, until the surface is saturated and stays glossy for a minimum of 40 minutes up to 1.5 hours. If eighty percent of surface area stays glossy, the pores are saturated and this can be considered your final coat. Hang oil soaked rags up separately to dry. 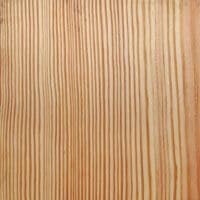 For woods with very dense pores (such as Teak, Ipe, Mesquite, etc.) consider thinning tung oil with two parts solvent (Citrus Solvent or Odorless Mineral Spirits) to one part oil. This will help it absorb and penetrate better into the wood. The Pure Tung Oil will take 7 to 10 days for a minimum cure and 15 to 30 days for a full cure. 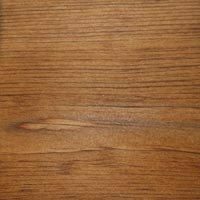 For floors, countertops, and other heavily used surfaces here are some general guidelines for use during the curing time of the tung oil. Keeping the surface free from dust, debris, dirt, and liquids during the first 7-10 days of the curing time is paramount. Feel free to move about on the surface with clean socks or rags under shoes. In fact, we encourage this as it ensures that no oil will be left on the surface and this “ice skating” will pick up any oil that may seep to the surface during the curing process. 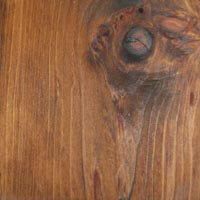 Restrain from covering the surface treated with tung oil for extended periods of time. The tung oil needs air exchange in order to cure. For countertops and butcher block near sinks, consider covering an area around your sink with wax paper while sink is in use. This will prevent water from splashing onto the surface. Remove wax paper when sink is not in use. Furniture can be moved back onto the floor after 7-10 days of curing time has occurred. Do not put area rugs or furniture items that rest close to the surface until full 30 day cure. These will prevent air flow. Wooden furniture items should have wax paper placed between the legs and the floor to prevent wicking of oil out of the surface. For decks and outdoor surfaces, should it rain, remove water from the surface as soon as possible with a broom or leaf blower. Also, check out our Outdoor Defense Oil. A specially formulated option for outdoor finishing needs. Remember, a full cure for the tung oil is 30 days. However, the pure tung oil finish will gradually harden over that period of time. Thus more resistance to use can be anticipated in general as the curing time progresses. Example: One Gallon would cover 400sq. feet one time. These statistics are for tung oil in its un-thinned state. Thinning will increase the coverage of tung oil. For example, a 1:1 ratio of solvent to pure tung oil will increase its coverage to 800sq. feet. Do not apply or leave fresh tung oil on the surface in direct sunlight. This will flash cure it on the surface and turn it white and hazy. 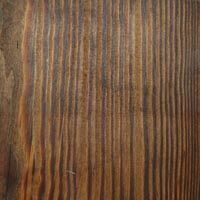 Do not use Pure Tung Oil over oil-based sealers, stains, and finishes. We recommend using a water-based stain to change the color of the wood before tung oil is applied (if a color other than that provided by pure tung oil is desired.) 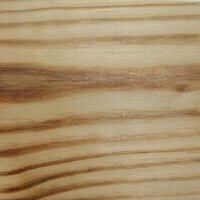 For a darker, all natural, tung oil finish check out our Dark Tung Oil and Dark Half products. Pure Tung Oil has not been thinned. Thinners can accelerate the drying process and greatly improve the penetration of the tung oil. In most cases, Pure Tung Oil does need to be thinned. We recommend using Citrus Solvent for a natural option, Odorless Mineral Spirits, or mineral spirits. Leave the thinning to us by using our Half & Half. The number of coats of oil to be applied will be determined by the intended use of the piece. One to two coats is enough for decorative work, paneling and molding. For surfaces that receive moderate to heavy use need a minimum of three on up to six coats for maximum protection. Renewal and/or maintenance coats are thinly applied with lint-free cloths (old bed sheets work well) or old t-shirt material on an as need be basis. A two parts solvent to one part tung oil mixture is recommended for maintenance coats. After the tung oil as completely cured (30 days) cleaning of the surface can be done using hot water and mild soap, such as dish soap. Avoid using hard chemicals or acids for cleaning. We believe in being honest with what is in our products. So, thats why we provide the ingredients used in them so you can rest assured knowing exactly whats in the product you purchase from us. Its just a way we make it easier on you. Thats it! Our Pure Tung Oil (sometimes also known as Chinawood Oil) is 100% cold pressed tung oil, no drying additives or anything else. I was nervous about how well tung oiled oak floors would stand up to everything my cats have to offer (spilled food, water, cat litter, the occasional pee, poop, and vomit, as well as their dead critters — frogs, lizards, mice and gophers — but I was committed to using your tung oil for its ease of use/repair and for its environmentally-friendly qualities. One year later I am thrilled to report that the seven applications of tung oil are performing beautifully. Not one stain. (I use water to wipe up, then follow with a swipe of Urinoff. )Even for messes I haven’t found right away (no more than a day or two? ), there has been no stain to the oak. Thank you for a terrific product! Received my order today for the tung oils and citrus solvent. Looking forward to using them on our toys. Tung oil is the best for protecting our stick horses and giving an old amber hue to the wood- really pops the wood figure. We’ll place another order soon- probably for gallon sizes this time. It’s really coming in handy for our new pine floors! Dear Mr. Siever, I ordered the Pure Tung Oil yesterday, received it today and applied it to two pieces of cast-off furniture this evening. I love the product! I love the way it smells and the fact that I’m not killing any brain cells when I use it. It has made my $2 chair look like a $200 chair – I am tempted to use it on my face (kidding)! And I am very impressed with your service – so fast! I really liked receiving the shipping notification email with the tracking number and the link to UPS to track the order. Thanks again for the outstanding service and gorgeous product! We recently purchase your tung oil and citrus solvent to treat our maple floor (before we installed it). We put 3 coats on and love the matte finish and ability to touch up when needed and not clear out the house. Since we’ve installed the floor, we’ve been using it on butcher blocks, cutting boards, metal tools, stone, and wood carvings. We also put a coat on our Hemlock stairs which were unfinished just to bring out the grain. Love it!!!! Here are some pictures! Amazing. Just wanted to say thanks – we are more than thrilled, and we think our members will also be more than thrilled. It applies with ease, has a gorgeous color, and knowing that I am not damaging myself, my environment, my family, or future generations is a wonderful thing to add to such natural beauty. In August I bought some Tung Oil and Carnauba Wax from you to use it on my Bass guitar. Well, the bass is ready: I put 7 layers of Tung Oil on it letting it dry in between layers. Then I put one layer of Myland Wax and 2 layers of Hard Carnauba Wax on it. It looks great!! Feels great!! Even smells great!! Super products!!! I really enjoyed using the Pure Tung Oil I purchased from The Real Milk Paint Co. I mixed it with some Citrus Solvent I also ordered from you. I had previously tried 3 other brands of Tung Oil and I thought that they either had way too many petroleum solvents in them to safely use indoors, or that the product was old and gooey. The Pure Tung Oil I received from you was easily flowing and fresh. It went on smooth and evenly. If I need more in the future, I know where to order from. Good stuff! I just received my humble order from you (a little plastic bottle containing Pure Tung-Oil). Aside that I received it VERY FAST (it was sent on 04.04 and it arrived on 17.04, remember you that it was send “by ground” and I’m living in Croatia, Europe!). I must tell you a few words about the product. I already applied two coats of your tung-oil on the Warwick body……BANG! The miracle happened! I must confess that in the beginning, I was a little reserved about this oil (it smells a little like old sunflower oil, the one used for cooking donuts, and it feels….well, unusual, maybe untrusty to the skilled luthier nose and fingers). But, as I said, the miracle happened…I never saw nothing alike, regarding the wood’s behavior, in the best sense! Yes, I was warned that pure tung-oil takes a little longer to cure, but…who cares? I cannot explain myself WHY the results on wood are so good…it’s the oil itself, or it’s because it’s PURE? I don’t usually do this but just HAVE to tell you how incredibly impressed I am with the citrus solvent/tung oil blend. My father makes custom hard wood furniture so I have had extensive exposure to wood finishes. The furniture in our house as a child (and now mine too) was always solid wood, artisan furniture with the softest grain texture. My dad often said of the surface of his furniture, “Soft as a babies bum…” You can imagine how particular he was with what went over the top of the soft wood surface. I now have 6 young children of my own and I’m concerned about the chemicals in all of the products they come into contact with. The solid wood furniture that comes into our home is usually left in the garage for a period of time (until it doesn’t stink anymore). Our oldest son is 11 and beginning to make wood creations of his own. He has been asking for finishing products and up until now, his work has stayed raw (can’t find something I want him to work with). Our tung oil and citrus solvent arrived and he wasn’t able to begin using it so I started to treat a small shelf I made. This is where the WOW comes in!!! WOW! I actually used it IN my house and my house smells LOVELY! No toxic, nasty smell…just a really nice lemony, nutty smell. Best of all… the maple shelf has this rich, warm (not as ALL yellow), color…PERFECT for our baby/toddler (who will own the shelf)! SO impressed with nature! Thanks for providing the packaged product! I received your premixed Tung Oil and Citrus thinner. It works great. No comparison to the Tung Oil Finishes out there. It reminds me of the original Formby oil from the early ’80s. Anyway I hand rub the finish into the wood. As you can guess my hands get messy. You can wash up using Dawn and warm water. The Dawn breaks down the fats in the oil and leaves your hands clean. This may not work if the thinner was mineral spirits but with the Citrus it works. Give it a try. This is actually a real advantage over cleanup of varnish based tung oils. I only turn bowls as a hobby so the Tung oil will last me a long time. When I need more I will be sure to use your product. I have been restoring an 1890 Brownstone in Hoboken, NJ and encountered problems with the proper floor finish to use on my 100+ year old parquet floors. After refinishing the floors a year ago with a typical satin polyurethane finish, the finish began peeling at the edges of the boards. We have now re-sanded the floors and have been looking for the proper finish to use. My research lead me to you and I have purchased your Tung Oil. I have been refinishing furniture and woodwork for years and want to say what a treat it was to use your product which seems so pure. The tung oil I have used in the past was in my estimation nothing more than varnish with maybe a touch of tung oil added. I have completed 4 coats as of today and I can already tell that it will turn out as I had hoped. One point I must make, if your customers are planning on using your tung oil for a wood floor I must strongly recommend that they use your citrus solvent as a thinner. I started by using turpentine as my thinner for the first two coats and I forgot just how stinky it is to use. I don’t care how much ventilation you have, the smell permeates everything not to mention the spontaneous combustion concerns. Having switched to your citrus solvent, I can’t wait to put on another coat tomorrow and have the whole house smell like oranges. Thanks again for providing a great product and I plan on recommending your company whenever I can. We are redoing our boys’ room and we are using all natural products. This is not only natural but it looks beautiful too! I can hardly believe it is the same floor. I can’t wait to redo the other rooms! I just received my Tung Oil today through the Vintage Door. I had a piece of dimensional hickory that I used a Dremmel on to fashion a Hiking stick. This stick is very special to me because I had my two children and wife carve there names in it. There’s also a U.S.N. on it for my Navy days, and a WWII for my Mom and Dad. I just put the first coat of Tung Oil on it and have to say that I didn’t expect such beauty. Your oil makes me look pretty darn good as a woodworker!! It just seems so natural. I knew as soon as I started using the tung oil that it was pure and wouldn’t hurt me. Hats off to you for making this wonderful product available. Anyway, the evidence is this: IT’S A MUST FOR EVERY SERIOUS MAKER OF MUSICAL INSTRUMENTS. The tung-oil you sell is, surely, a very helpful product to me! Here’s the picture I promised you of three of my handmade bamboo didgeridoos. I found that tung oil is the absolute best product available for the inner bore of these instruments of keep moisture from soaking into the wood and causing possible splitting issues. It’s also non-toxic which is a must in these instruments that are in contact with one’s mouth. I also usually give their outsides a light coat of tung oil before final buffing. Thanks for making this unadulterated product available! Thanks, I just ordered a gallon and a quart of your tung oil. 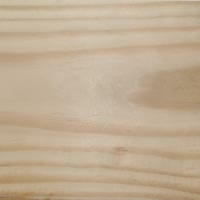 My research indicates it is a wonderful material to use for a wood finish. Difficult to obtain. I looked for it locally and sales people told me all kinds of falsehoods about pure tung oil! Too bad. I think most people would believe them and the product does not get used. An engineer friend of mine highly recommended it and even had me do a sample on my wood so I could get the feel of it. Quite frankly, one of the things I liked that I could just put it on with my hand and literally feel it. I appreciate your making this fine product available! Your fast response made me select your company to order my tung oil from. I was finding myself very frustrated with hardware store oil finishes for my new Mesquite cabinets and cherry shelves. They all had far too many toxic elements. I wanted a natural product for my fine new wood. Thank fully my search found your company. In my first application – I was BLOWN AWAY! What a beautiful application – easy to put on, easy to wipe off and really pleasant smelling. I look forward to maintaining all of this with your Tung Oil for the life of my house. The woods are saying… “Thank you!” I will never use anything else on new wood again. Truly, a perfect product. 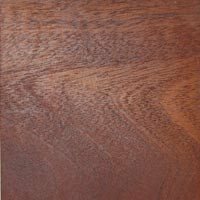 Have been using raw crude tung oil for 40+ years and it is by far the finest finish I have ever found. It resists 190 proof alcohol and will build a finish that is so tough you almost can’t stain it. Have used up to 600 grit wet sanding techniques for a glossy wood finish before using the pure oil. applied as directed and removing all excess within 1 -2 hours. It will start building an finish over the wood after six to eight coats. Yep, it does take some time but the best finish is worth the time. If you want fast, go get some cheap clear spray finish and it will be ready tomorrow BUT it will not be right or the best. If you ever get a scratch, wipe a tiny bit on and the finish is “back”. you can “renew” the finish 30 years later if you need a single coat. This chemical does not meet the hazardous criteria set forth by the 2012 OSHA Hazard Communication Standard (29 CFR 1910.1200). However, this Safety Data Sheet (SDS) contains valuable information critical to the safe handling and proper use of this product. This SDS should be retained and available for employees and other users of this product. General Advice: Provide this SDS to medical personnel for treatment. Eye Contact:Rinse thoroughly with plenty of water for at least 15 minutes, lifting lower and upper eyelids. Consult a physician. Skin Contact:Wash off immediately with plenty of water for at least 15 minutes. Ingestion:Clean mouth with water and drink afterwards plenty of water. Symptoms:Direct contact with eyes may cause temporary irritation. May cause discomfort if swallowed. Suitable Extinguishing Media:Dry chemical or CO2, Alcohol resistant foam. Specific Hazards Arising from the Chemical:Flammable in presence of open flames. Protective equipment and precautions for firefighters: As in any fire, wear self-contained breathing apparatus pressure-demand, MSHA/NIOSH (approved or equivalent) and full protective gear. Personal Precautions:Use personal protective equipment as required. Methods for Containment:Prevent further leakage or spillage if safe to do so. Absorb spill with inert material (e.g. dry sand or earth). Methods for Clean-Up:Sweep up absorbed material and shovel into suitable containers for disposal. Discard any product, residue, disposable container or liner in full compliance with federal, state, and local regulations. For waste disposal, see section 13 of the SDS. Advice on Safe Handling: Handle in accordance with good industrial hygiene and safety practice. Wash face, hands, and any exposed skin thoroughly after handling. Avoid contact with skin, eyes or clothing. Keep away from heat. Storage Conditions:Store away from heat, sparks, flame. Store away from ignition sources and incompatible materials. Keep container tightly closed and store in a cool, dry and well-ventilated place. Appropriate engineering controls/Engineering ControlsExplosion-proof general and local exhaust ventilation. Facilities storing or utilizing this material should be equipped with an eyewash facility and a safety shower. Work with fume hood. Eye/Face Protection:Splash goggles or safety glasses. Skin and Body Protection:Wear protective gloves, Wear a lab coat. Respiratory ProtectionNIOSH approved dust respirator. Eye Contact:Direct contact with eyes may cause temporary irritation. Skin Contact: Avoid contact with skin. Symptoms:Please see section 4 of this SDS for symptoms. Carcinogenicity: This product does not contain any carcinogens or potential carcinogens as listed by OSHA, IARC or NTP. Ecotoxicity: An environmental hazard cannot be excluded in the event of unprofessional handling or disposal. Disposal of Wastes: Disposal should be in accordance with applicable regional, national and local laws and regulations. Contaminated Packaging: Disposal should be in accordance with applicable regional, national and local laws and regulations. Note: Please see current shipping paper for most up to date shipping information, including exemptions and special circumstances.